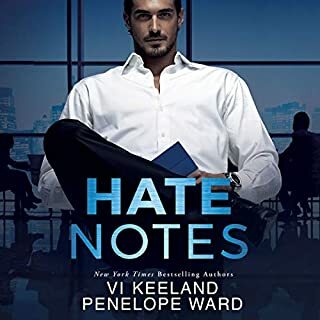 Nate Pearson is ridiculously handsome and wears the hell out of a suit and tie, but I’ve seen the parade of beautiful women leaving his apartment across the hall - a different one every time - and I want no part of it. When it comes to romance, I’m looking for something real, something that will last: the happily ever after. As a divorce attorney, he loves to tell me there’s no such thing. As a wedding planner, I choose to disagree. JARED - If I had a dollar for every time Banner Morales made my heart skip a beat...The heart everyone assumes is frozen over. Her anger is...arousing. Every glare from those fire-spitting eyes, every time she grits her teeth, gets me...well, you know. If I had a dollar for every time she's put me in my place, I'd be an even richer man. I'm a successful sports agent because I assume "no" means you'll think about it. I'm sure what you meant to say is, "Coming right up." They say even rich men don't always get what they want, but those men don't know how to play the game. It was a hot summer day when I met him on the construction site next to my parents' house. Under the sweat and dirt, Manning Sutter was as handsome as the sun was bright. He was older, darker, experienced. I wore a smiley-face t-shirt and had never even been kissed. Yet, we saw something in each other that would link us in ways that couldn't be broken...no matter how hard we tried. I loved Manning before I knew the meaning of the word. I was too young, he said. I would wait. Through all the carefully-chosen words hiding what we knew to be true, his struggle to keep me innocent, and infinitely starry nights - I would wait. But I'd learn that no matter what you achieve in life, it means nothing if you suffer the heartbreak that comes with falling for someone you can never have. Because even though I saw Manning first, that didn't matter. My older sister saw him next. Book one in the completed Something in the Way series, a USA Today best-selling love saga. Jessica Hawkins captured the excitement, anxiety, confusion, and butterflies of falling in love so perfectly. This slow burn, coming of age story will captivate you right from the start. Andi Arndt and Zachary Webber couldn't have been more perfect to narrate Lake and Manning. They are my favorite narrating duo and their voices complement each other so well. Arndt narrates the majority of the book phenomenally, but Webber's heart wrenching performance really stole the show for me. Lake was such an intelligent and mature heroine, but at the same time she was vulnerable and girlish, teetering on the cusp of adulthood. Manning was brooding and dark, but behind the walls and hurt was a man trying to rise above the circumstances of his life. Honestly, all the characters were so genuinely imperfect that you couldn't help but relate to them and root for them to overcome the odds. Even if you've read the book, I HIGHLY recommend listening to the audio. Every emotion, touch, and feeling is amplified and electric. The audiobook really took this story to the next level. Please keep in mind that this is book 1 in the Something in the Way series. I can't wait to listen to the rest of the books when they're available! 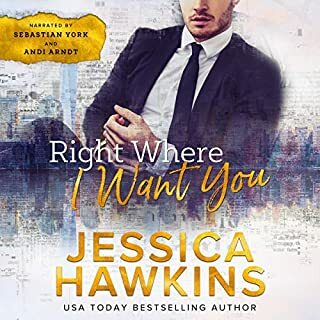 This is the first Jessica Hawkins book I’ve read/ listened to. I have a couple but as of yet, haven’t listened to them. I’m going to have to rectify that pronto. 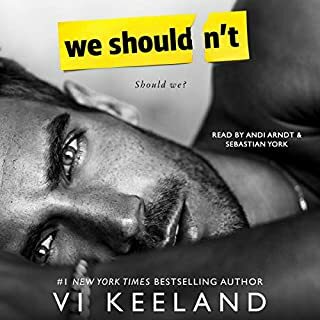 This book gave me all the feels… and I do mean all. So many different emotions with this story. It was beautiful, and it was heart-breaking, and it is only the beginning. Jessica gutted me in the most perfect of ways. I’m not sure how I’m going to survive two more books but I’m also looking forward to it. This is one of my favourite books of 2017, I listened to it in one sitting, I just couldn’t pull myself away, I was so invested in this story and these characters. I’ve not read a lot of forbidden romances, so I wasn’t quite sure how this story was going to play out. I really enjoyed the pacing of the story, it didn’t feel rushed or too slow, it felt like everything was happening as and when it should. 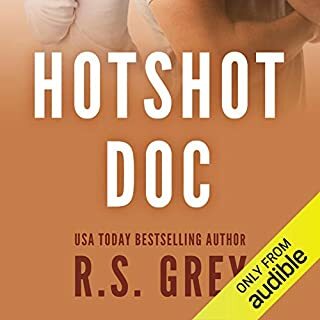 The story needed to be told and Jessica’s writing is incredibly engaging and on point that it immerses you into the story and the lives of these characters. 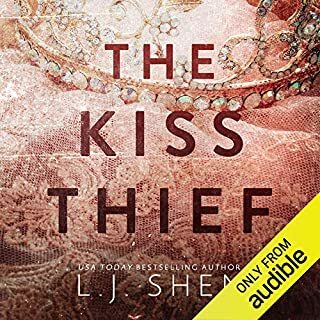 I am so tempted to eyeball the remaining two books in the series but I’m going to hold off for the audio because this audiobook was something special and I have a feeling the next two will be as well and it’ll be worth the wait. The characters in this book were enchanting. I adored Lake, she was sweet and innocent and a little naïve but that just made her all the more appealing. The way her character developed and starting questioning things that were a given in her life. It was beautiful. Her feelings for Manning started innocent enough, but seeing the change in her, as her feeling developed was something that I think many women are going to be able to relate to. Manning, sigh, I just loved him so much. He was so endearing. The way he was with both Lake and Tiffany, he gave them both something they were lacking. He didn’t take any crap, and obviously cared about them both a great deal and it showed. His past is heart-breaking, and I couldn’t help but shed a tear for him. Throughout the story my opinion on Tiffany kept changing, it ranged from thinking she was a horrible person, to feeling sorry for her, and back to disliking her. It was also tough, due to how she was really a means to an end. Manning saw in her things that I wasn’t able to until they were obvious. I did love how Manning put her in her place in regards to Lake. The way he was helping her to become a better person. The progression of the relationship between Manning and Lake was beautiful to watch unfold. The way Manning’s feeling developed and how he fought it, and in turn, how Lake’s feelings developed, and she tried everything not to fight it. They were on opposite sides, but it worked. The touch of forbidden gave it an air of angst that I wasn’t expecting, and it worked perfectly. The meeting between Lake and Manning was sweet yet awkward. Lake is young and naive. Manning is older and gruff. Together they made such a cute couple, even though they shouldn’t have. I was rooting for Lake throughout, I cannot wait to see where their story goes next. This dual narration was wonderful. 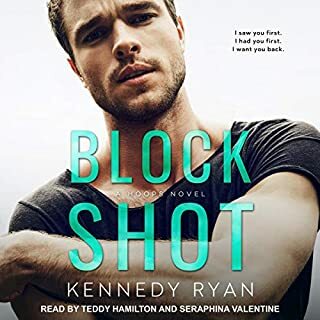 I’ve listened to many audiobooks narrated by Andi Arndt and Zachary Webber – both together and separate, however, I think this might be my favourite. It was so beautifully performed, I even raved to my husband who wasn’t interested but he let me go on about it for 20 mins lol. Andi Arndt is fabulous. I wasn’t sure what to expect with Lake only being 16 but she pulls it off perfectly. It’s incredibly believable. Zachary Webber was the perfect choice for Manning. He is wonderful at delivering a sweet but gruff performance. The way they both conveyed the emotions the characters were experiencing was stunning. 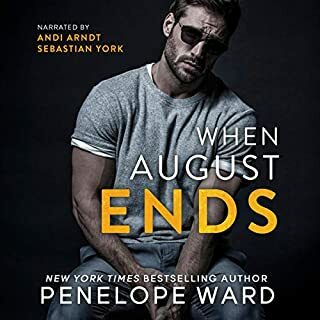 The whole audiobook was a riveting experience and I cannot wait for books two and three to do it all over again. The production was fantastic with no issues. Would you listen to Something in the Way again? Why? No, I do not think that I will listen to Something in the Way again. 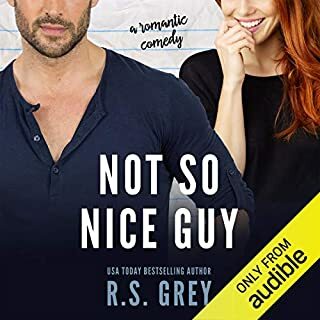 Unlike Jessica Hawkins other work (Standalone books as well as the Cityscape & Slip of the Tongue trilogies) this book focused on a much younger girl. I prefer my main characters to be older. Which character – as performed by Andi Arndt and Zachary Webber – was your favorite? The dual narration with Andy Arndt' and Zachary Weber are outstanding! I cannot choose a favorite. Yes. 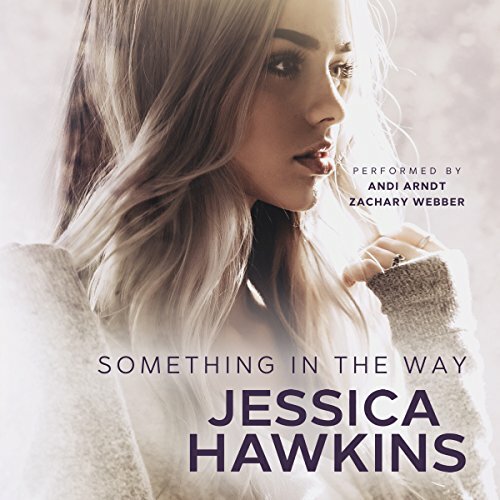 I am a big fan of Jessica Hawkins. This book was a lot different than what I have experienced with her other books. Thank you for taking the time to read my review. *I was provided the unique opportunity to receive an advance copy of this book to listen to in exchange for my unbiased review. If the baby voice wasn’t enough, in less than 48 hours they are totally in love, come on. Sorry but this book definitely wasn’t for me. Good story, but a little slow and abrupt ending. What did you love best about Something in the Way? 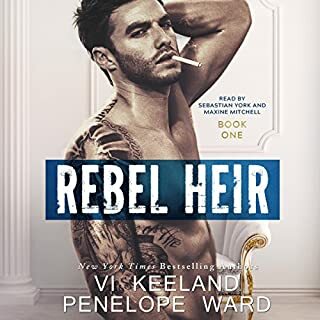 I loved the story line of of this book, however it wasn't as racy as I was hoping for and the ending seemed abrupt and left me wanting more from the story. I would definitely listen to it again. Once the story grabs you, it doesn't let you go.The more you listen, the more you need to know about what's going to happen with Manning and Lake. What was one of the most memorable moments of Something in the Way? The final chapter. Hands down. You don't really see it coming and I love that because I can usually call how a book is going to end within the first few chapters. With this one, I never saw the end coming. What about Andi Arndt and Zachary Webber ’s performance did you like? They were wonderful choices for voicing Manning and Lake. They helped bring the story to life. YES! And I almost did. Had I had the time, I would have. LISTEN TO THIS BOOK! You'll want the ebook and paper back too, it's THAT good. I’m left a-gasp. I want to say that I loved it but I don’t even know what just happened. I feel like a lot because I just sat through 8 hrs 17 mins of audio and I was completely gripped the whole time, but really... it’s just the beginning. Nothing has happened yet. There has been no love story, no romance, just a really good story about a guy who has nothing and someone who could fill that hole. Except their timing is terrible and that hole may never be filled. Jessica’s story telling and character development is off the charts. Really. OFF THE CHARTS. So incredibly slow but so interesting that you don’t even notice the slow pace. It doesn’t occur to you. So, ya. I’m all in. Starting book 2 now. Zachary Webber and Andi Arndt are always perfect. I am always surprised how they can narrate so many books but I am pulled in every time and they can transform into the characters each time. This book brings back so many memories of being young and in love with so many feelings it's hard to decider them all. I'm completely addicted and can hardly wait til the next installment! The perfect people did fabulous narration and in my opinion, that says it all! Perfect interpretation of a phenomenal book! 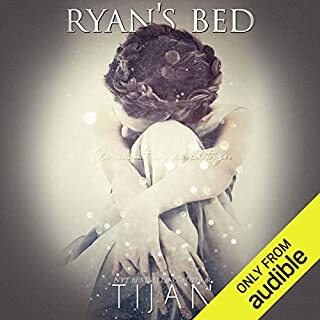 I loved this story in print and I think it translated into audible in the most amazing manner! I love Zachary Webber’s voice and i think he personified Manning in the more perfect way. And I love the way Andi narrates. She puts so much emotion in her words. She was perfect for the role of Lake. The inflection in her voice when she was exited and or sad. Perfection on every level! I love this story more now that I have heard it read out loud! J. Hawkins hat hier ganze Arbeit geleistet. Obwohl sich das Buch eher im YA-Genre als bei den erotischen Romanen einordnen lässt wurde hier eine berührende, spannende und mitreissende Geschichte geschrieben. Der Schreibstil ist wunderbar, verursacht 3-dimensionales Kopfkino und zieht dem Leser hinein ins Geschehen. Die Protagonisten sind individuell, glasklar und messerscharf dargestellt. Ich konnte mich sogar in Tiffany hineinversetzen. Zugegeben, Lake ist ihrem Vater etwas zu hörig und für ihr Alter sehr unreif, da war ich mit 16 schon weiter. Aber ich kenne ein paar 16-jährige die sich mit ihr vergleichen lassen. Wirklich tough ist allerdings Tiffany, die sich auflehnt und Konfrontationen nicht scheut wie ihre kleine Schwester. Sie hat mir sehr Leid getan.